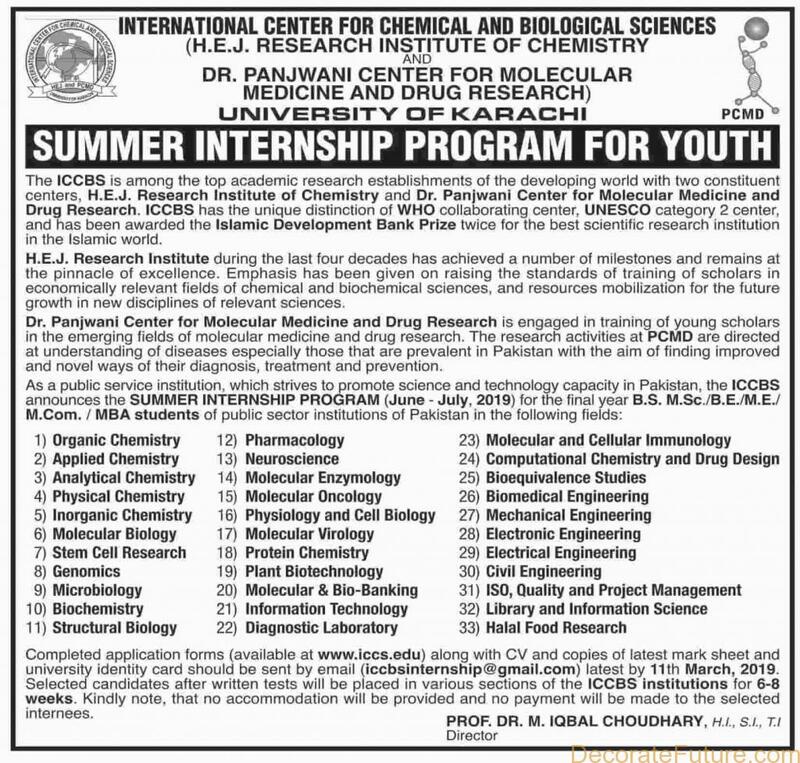 Applications are invited from the International Center for Chemical and Biological Sciences (University Of Karachi) for ICCBS Summer Internship Program For Youth 2019. The ICCBS is among the top academic research establishments of the developing world with two constituent centers, H.E.J. Research Institute of Chemistry and Dr. Panjwani Center for Molecular Medicine and Drug Research. ICCBS has the unique distinction of WHO collaborating center, UNESCO category 2 center, and has been awarded the Islamic Development Bank Prize twice for the best scientific research institution in the Islamic world. H.E.J. Research Institute during the last four decades has achieved a number of milestones and remains at the pinnacle of excellence. Emphasis has been given on raising the standards of training of scholars in economically relevant fields of chemical and biochemical sciences, and resources mobilization for the future growth in new disciplines of relevant sciences. Dr. Panjwani Center for Molecular Medicine and Drug Research is engaged in training of young scholars in the emerging fields of molecular medicine and drug research. The research activities at PCMD are directed at the understanding of diseases especially those that are prevalent in Pakistan with the aim of finding improved and novel ways of their diagnosis, treatment and prevention. 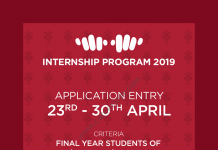 As a public service institution, which strives to promote science and technology capacity in Pakistan, the ICCBS announces the ICCBS Summer Internship Program (June-July, 2019) for the final year B.S. M.Sc./B.E../M.E./ M.Com./MBA students of public sector institutions of Pakistan. 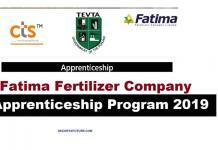 Completed applications forms along with CV and copies of the latest mark sheet and university identity card should be sent by email ( [email protected] ). 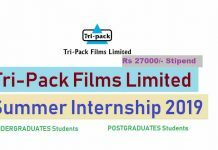 Selected candidates for the ICCBS Summer Internship Program after written tests will be placed in various sections of the ICCBS institutions for 6-8 weeks. Kindly note, that no accommodation will be provided and no payment will be made to the selected internees.